1929: (Albert & Arthur) Mooney Aircraft Corp, Bridgeport Machine Co, 600 E 35 St, Wichita KS. 1930: Bankruptcy. 1946: Mooney Aircraft Inc (Al Mooney & Charles "Pappy" Yankey), Kerrville TX. 1947: Mooney Aircraft Corp. 1955: Mooney Bros quit their interest to go with Lockheed design dept, but name continued with acquired rights. 1965: Mooney-Mitsubishi Aircraft Inc. 1967: Acquired production rights to Ercoupe from Alon Aircraft Co. Early 1969: Bankruptcy and sale to American Electronics Labs, with no production. Late 1969: Acquired by Butler Aviation, who ended operations in June 1971 with no aircraft production. 1970: Renamed Aerostar Aircraft Corp. 1972: Mooney Mite Aircraft Corp formed by Fred Quarles, Charlottesville VA, on acquisition of ATC 803 (SEE M-18X below). 10/4/74: Mooney Aircraft Div, Republic Steel Corp, acquisition of rights and tooling; resumed production 1/1/75. 1978: Mooney Mite Aircraft Corp (kits and plans only), Charlottesville VA. 1984: Merged with French distribution firm (Alexander Couvelaire). 7/27/01: Bankrupcy filed. Apr 2002: Acquired by AASI as Mooney Aircraft Co Inc div of Mooney Aerospace Group Ltd; resumed production in 2004. A-1 1930 (ATC 2-266) = 4pClwM; Packard diesel. Similar to Alexander Bullet. POP: 1 [R476W]. A-2, M-5 1930 = Similar to A-1 with 125hp Kinner B-5; span: 36'6" length: 21'0" load: 1000#. POP: 1 [X463N], flown by Al Mooney on a non-stop transcontinental attempt from Glendale CA to Long Island NY as a promotional effort, but only made it to Fort Wayne IN when his fuel pump failed. A-2A Cadet 1968 = Continuation of Alon Aircoupe (neè ERCO Ercoupe) with dual tail, conventional controls, and 90hp Continental C-90-16F; load: 520#. $9,000; POP: 38. M-1 1926 - Credited as Mooney's first commercial success, it was in reality the Alexander Eaglerock Long-Wing design. M-2 1926 - This was the Montague Monoplane (qv). M-3 to M-4 - No data. M-6 Flivver 1931 = 1pOlwM; 36hp Continental A-36. Al Mooney. Plywood fuselage. POP: 1 . M-7 to M-9 - No data. M-10 1937 - Rights to Mooney's Monocoupe design were acquired by a Monocoupe dealer as the basis for Culver Aircraft Co.
M10 Cadet aka Mooney-Coupe 1969 = Single-tail version of Alon Aircoupe. 90hp Continental C-90-16F; span: 30'0" length: 20'8" load: 438# v: 118/110/46 range: 555 ceiling: 15,500'. $8,295-8,995; deluxe version $10,340; POP: 59. M-12 (Culver Cadet) 1939 = ff: 12/3/39 (p: Foster Lane). Designed at Port Columbus OH while Mooney worked at Culver Co.
M-17 (Culver V) 19?? = ClwM; 90hp Continental C-90. Featured a one-piece flap underneath the fuselage and linked to the elevator in a system Mooney called "Simpli-Fly." 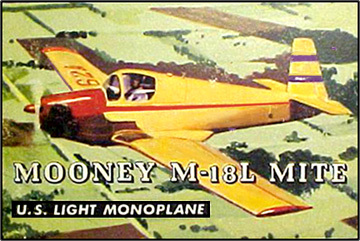 For more info about the post-1947 Mooneys, visit the Mooney Aircraft Owners site, and specifics about the Mite can be found on the Mooney Mite site. M-18 Mite 1947 = 1pClwM rg; 25hp Crosley Cobra auto engine; span: 26'9" length: 18'0" load: 240# v: 105/90/40 range: 400; ff: 4/x/47. Al Mooney. Wood and fabric construction. 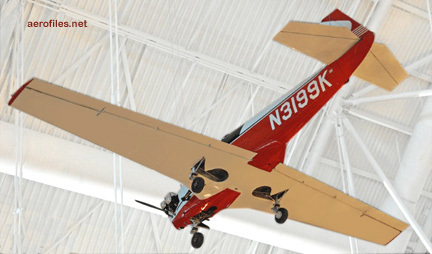 Originally designed as a target drone, this was the first of the "backward tail" Mooneys that earned the reputation of being the smallest and cheapest airplane in production at the time, as well as one of the most efficient airplanes ever built. Most later repowered with 65hp Lycoming O-145. $1,995; POP: 12. Prototype [N3199K], with 65hp Continental A-65-8 and c/n changed from 1 to 201, to NASM. On 6/24/50, to celebrate his 25th anniversary as an aircraft designer, Al Mooney left from Brownsville TX with 45 gallons of fuel in his M-18-L and flew to Watertown SD, a distance of 1,312 statute miles, in less than 11 hours to set an unofficial distance record for Category One (less than 1102#) airplanes. M-18-C aka "Wee Scotsman" 1949 (ATC 803) = 65hp Continental A-65-8 or -12; span: 26'10" length: 17'9" load: 270# v: 140/125/43 range: 390. $2,325. POP: 122. [N4101] c/n 276, the first of the Mites built at Kerrville, went to Ballistics Research Labs (Aberdeen Proving Grounds MD) as XK2 Aerial Target Drone, a test-bed for auto-pilots. "XK" apparently was BRL's own model designation, not used by US military. M-18C-55 1955 (ATC 803) = High canopy. POP: 35. M-18-L 1949 (ATC 803) = 65hp Lycoming O-145-B2; length: 17'7" load: 280# v: 138/122/40 range: 360. POP: 81, including some conversions from M-18. M-18-LA 1951 (ATC 803) = Weight modification; load: 340#. $2,250; POP: 45. M-18-X 1972 (ATC 803) = On acquiring Mooney's ATC , Fred Quarles, aka Mooney Mite Aircraft Corp, marketed production kits for home-builders to an unknown extent. M-19 1951 = M-18-C55 modified at Mooney's own expense as a mini ground-support fighter, complete with two .30 machine guns and rocket launchers. POP: 1 [X499M] as a demonstrator, but no interest followed extensive tests in Apr and May 1951 by USAF and in Sep by USMC, whence came evaluations that it was too slow (150 mph), too lightly armed, and too vulnerable for the role. The ship was returned to the factory, reconverted to M-16C, and was seriously damaged c.1955 in a take-off "incident"its recorded history ended there. M-20 Mark 20 1953 (TC 2A3) = 4pClwM rg evolution of M-18; 150hp Lycoming O-320; span: 35'0" length: 24'1" load: 1115# v: 173/150/x range: 1000; ff: 8/10/53. 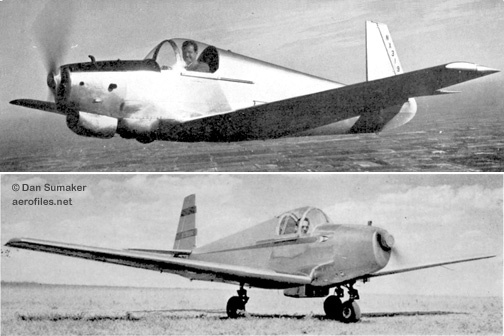 Wood and fabric construction, but prototype had metal fuselage and wood wings, 120hp engineall-metal models began with M-20B. First production was not until 1955. $10,500; POP: 200. M-20A Mark 20A 1958 (TC 2A3) = Added cabin ventilation system, larger battery, cosmetic changes. 180hp Lycoming O-360-A1A; span: 35'0" length: 23'2" v: 190/180/57 range: 1075. $15,000; POP: 499. M-20B Mark 21 1961 (TC 2A3) = All-metal version with manual flaps, 180hp O-360-A1A; load: 1050#. $18,000; POP: 224. M-20C Mark 21 1962 (TC 2A3) = Weight increase, 180hp O-360-A1D. $20,000; POP: 1,655. M-20C Ranger 1968 = Replaced Mark 21. No dorsal fin, one-piece windshield, fixed cowl flaps. Electric gear in 1970, electric flaps in 1974. POP: 544. M-20D Master 1963 = Fixed-gear version of M-20C. POP: 160. 1966 models were retractable-gear. M-20E Super 21 1964 = 200hp Lycoming IO-360-A1; load: 975# v: 193/183/57 range: 985 ceiling: 18,800'. $14,000; POP: 1,264. As Aerostar 201 in 1970. M-20E Chaparral 1969 = Electric gear and flaps. Price upped to $23,000; POP: 214. M-20F Executive 1967 = 4p with 200hp IO-360-A1A; span: 35'0" length: 24'11" load: 1100# v: 185/180/62 range: 1147 ceiling: 18,800'. $27,000-29,730 in 1974; POP: 1,246. As Aerostar 220 in 1971. M-20G Statesman 1967 = M-20F with 52-gal tank; load: 935# v: 169/158/61 range: 575 ceiling: 12,750'. $26,500; POP: 190 (?>196). Later repowered with Tiara. M-20J 201 1977 = 200hp Lycoming IO-360-A3B6D; 24'8" fuselage; drag reduction; load: 1100#. New wingtips in 1981, one-piece composite underside and upgraded instrumentation in 1984, speed brakes in 1985, deluxe SE Special Edition in 1986, 24v eletrical system in 1989. Ended production mid-1998. $45,000; POP: 1,793. M-20J 201AT 1998 = 4p advanced trainer. POP: 20. M-20J 205 1987 = Enclosed landing gear, revised side windows; 28v electrical. Special Edition interior in 1988. POP: 79. M-20J Allegro 1998 = Renamed. POP: 17. M-20J LM 1987 = "Lean Machine" edition. POP: 53. M-20J MSE 1992 = Also as MSE Limited; span: 36'1" length: 24'8" load: 950# v: 201/193/67 range: 905. POP: 167. M-20K 231 1979 = 4p with 210hp Continental turbocharged TSI0-360-GB, Rajay wastegate; dorsal fin air scoop, 75-gal tanks; load: 1100#. New insulation in 1981, pressurized magnetos and revised exhaust in 1982; upgraded 210hp TSIO-360-LB1 in 1984. Ended production mid-1998. $58,000; POP: 784. M-20K 252 1986 = TSI0-360-MB with intercooler, Garrett wastegate; curved side windows, enclosed gear, 28v electrical. Teledyne Continental TIO-360-MB1 in 1997 as M-20K 252TCM. POP: 239. M-20K Encore 1997 = 220hp Teledyne Continental TIO-360-SB2. POP: 27. M-20L aka M20L PFM 1989 = Fuselage lengthened 12" (?>20"); 217hp Porsche PFM-3200-HO3. POP: 42. M-20J 201AT 1989 = 4p advanced trainer with more spartan interior; 14v electrical. POP: 1. M-20M TLS 1989 = 270hp Lycoming TIO-540-AFIA; 26'4" fuselage with long side windows. $439,000 in 1998; POP: 219. M20M Bravo 1989 = Rename and upgrade to TIO-540-AFIB. POP: 37. M-20R Ovation 1993 = Long body. 280hp Teledyne Continental IO-550-G; load: 1155# v: x/220/x range: 1300. $205,750; $384,000 in 1998; POP: 172. M-20S Eagle 199? = 244-280hp Continental IO-550. $319,000. M-20T 1991 = 2p entry-level trainer for USAF EFS competition. 260hp Lycoming AEIO-540. POP: 1. MT20 TX-1 1989 = 2p military trainer based on M-20J. 210hp Continental TSIO-360. POP: 1. M-22 - Twin-engine concept was not produced. M-22 Mustang 1966 = 5pClwM; 310hp Lycoming turbo TI0-541-A1A; span: 35'0" length: 27'0" load: 1255# v: 256/226/70 range: 830 ceiling: 24,000'. M-20 fuselage, new wing, large dorsal fin. POP: 33. 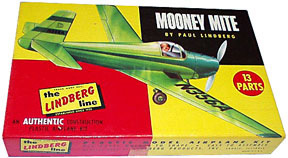 Cost of development was partly responsible for Mooney's bankruptcy. M-30 301 1983 = 6pClwM; 360hp Lycoming TIO-540-X27; span: 36'9" length: 29'9" v: 64/259/301 range: 1150; ff: 4/21/83. All-new pressurized cabin. POP: 1. MU-2 199? = Licensed production or Japanese Mitsubishi MU-2 twin. Toxo - Planned new production by Mooney Aerospace Group of a 2p sportplane with a Rotax engine to meet requirements of FAA's new (2003) Light Sport Aircraft category. Using a proven design based on Construcciones Aeronauticas de Galicia (Spain) composited aircraft, this would be the first aircraft planned by a major US manufacturer for that specific market.